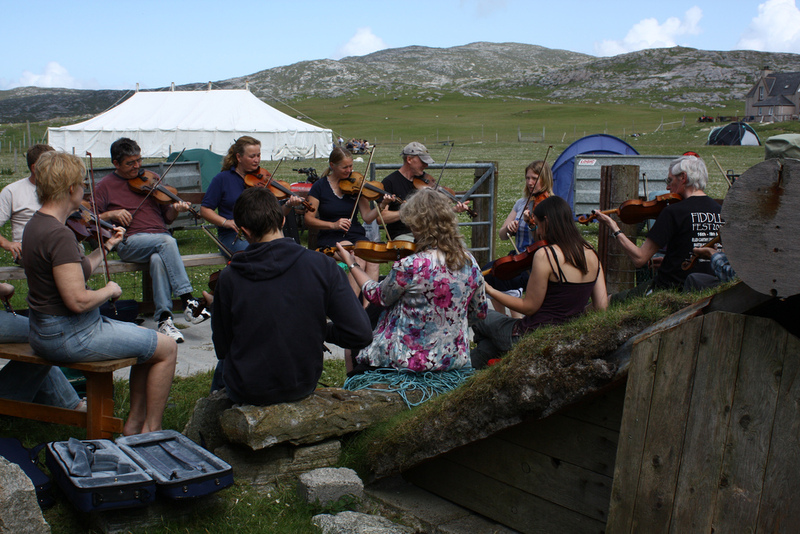 Taransay has some of the best fiddle tutors possible and many of them keep on coming back! Why? As just like us they keep on having fun! 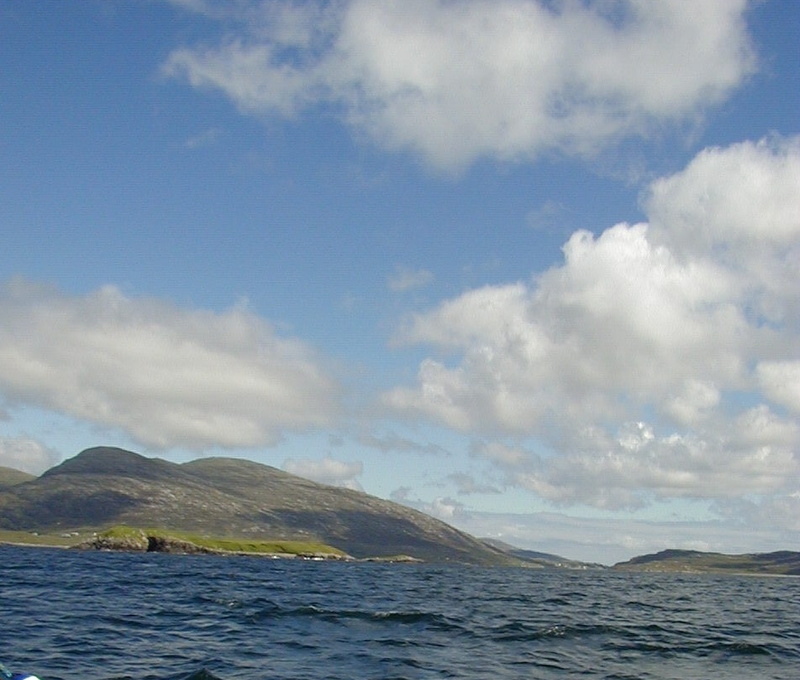 Here are the details of those who have come and taught at Taransay. Please remember that this page is still in draft form and it will continue to be developed as the weeks roll on! Patsy Reid is from Knapp in Perthshire and aged 25, has a great amount of experience in performing and teaching both traditional and classical music. She remains the youngest ever winner of the prestigious Glenfiddich Fiddle Championship and released her debut solo album “With Complements” in 2002. At 17, Patsy was a finalist in the original BBC Young Traditional Musician of the Year Award and is now a member of the band Breabach, who won a Danny Kyle Award at Celtic Connections 2005. Breabach recorded their debut album ‘The Big Spree’ with well-known producer Donald Shaw and it was released by Vertical Records in June 2007. 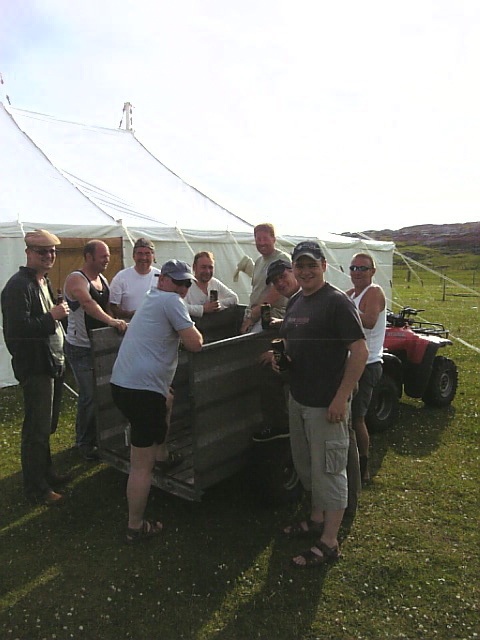 In 2006, the band was nominated for best Up and Coming Artist at the Scots Trad Music Awards, and for the past two years they have been nominated for Best Folk Band. 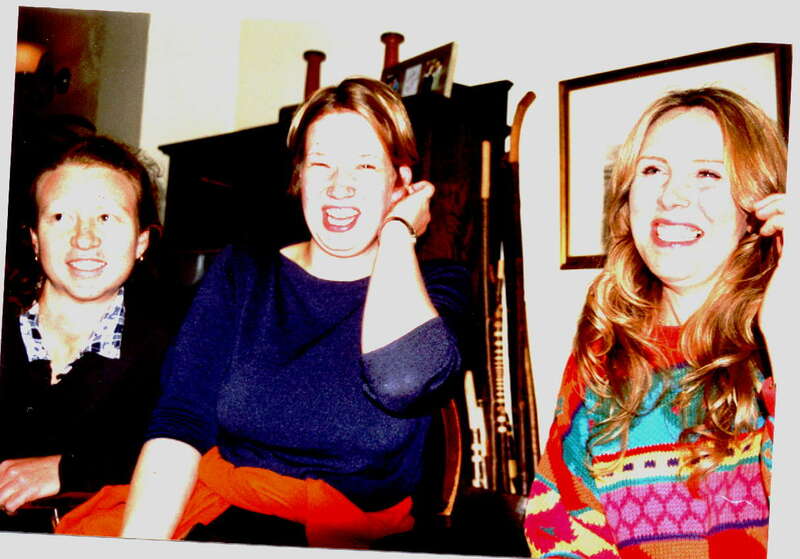 Patsy also performs with Maeve MacKinnon, who was named Best Up and Coming Artist at the Awards in 2007. In 2008, Patsy was approached to write a New Voices commission for Celtic Connections entitled ‘Bridging the Gap’. The 50 minute piece of music was very well received and the live recording was released on Vertical Records in November 2008. Patsy graduated form Strathclyde University in 2004 with a 1st class Honours BA degree in Applied Music, specialising in performance and album production. She continued her studies in Manchester at the Royal Northern College of Music and after two years gained a Post Graduate Certicicate of Education with Specialist String Teaching and a Post Graduate Diploma in Violin Performance. 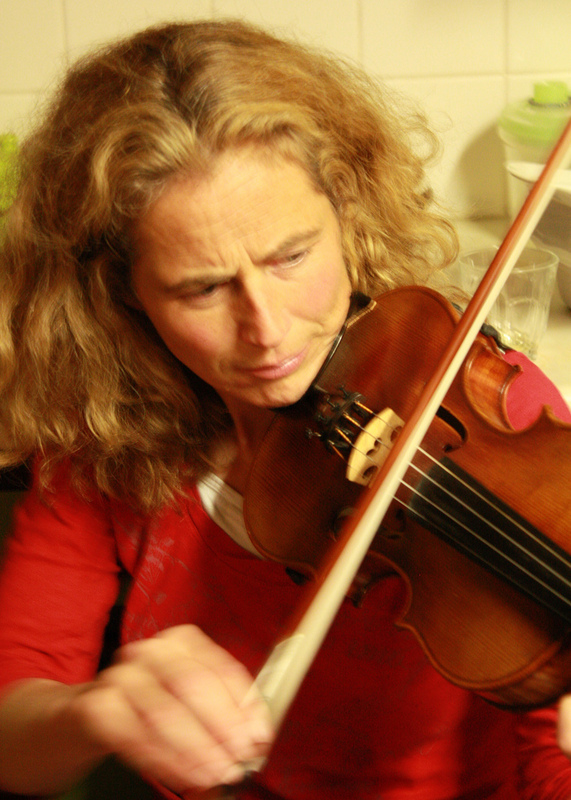 Patsy is a tutor at the award-winning Taransay Fiddle Camp and Alasdair Fraser’s fiddle course at Sabhal Mor Ostaig. I first got into fiddle music through my father’s playing. my pa being keith mckerron. he used to have music sessions in the house occasionaly with my aunt charlotte mckerron and a great uncle called tom mckerron.this was my first exposure to northeast fiddle music and i took up the instrument aged 9 years. my fiddle teachers through school were drummond cook (forres) and jimmy taylor (elgin) at hopeman primary and then lossiemouth high school. when i was around 14 i joined the elgin strathspey and reel society and went on to compete at many fiddle festivals throughout scotland. i suppose my biggest success in the competition circuit was in 1983 when i won the daily record golden fiddle award. some fiddle playing influences …hector macandrew,douglas lawrence,willie macpherson,sean mcguire,angus cameron,aly bain,liz carroll,nollaig casey, the gavin,grapelli and of course my father and great uncle. but i don’t think that you ever stop being influenced in this living tradition. also was a big fan of t’rex, slade,the rolling stones, the police, elo etc but as time has moved on i’ve got more into world music. in 1984 i graduated from napier university edinburgh and went straight into touring with a scottish show called the white heather show .i did this periodically until joining celtic band capercaillie in 1985. on top of my commitments with capercaillie i am also involved with fiddle based band session a9. 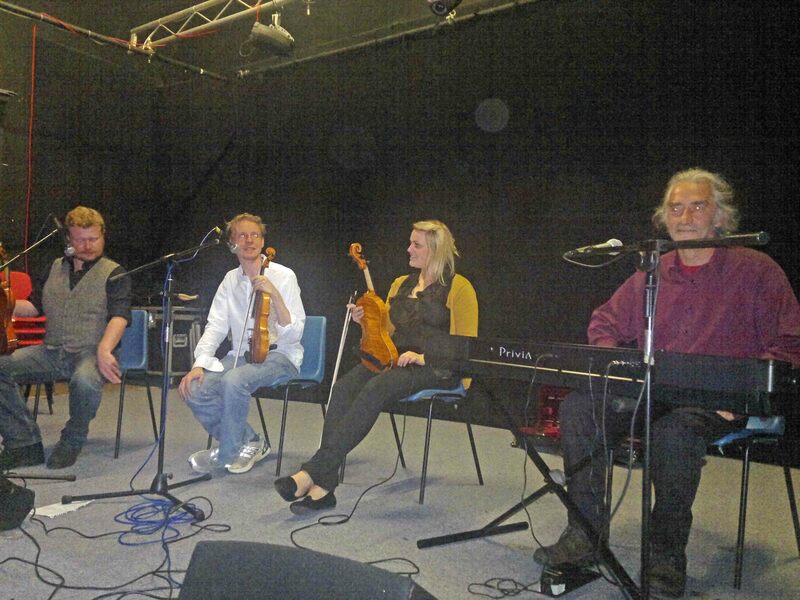 in december 2005 i was also voted best composer in the bbc scottish trditional music awards. during my life so far i have worked as a deep sea fisherman,chainman,labourer,forestrycommission worker,musician in residence and music instructor but best job would have to be a performing musician. “they say there is only one thing worse than touring and thats not touring.” in the pipeline…new cd from session a9…new cd from capercaillie..and a book of my own fiddle music. cheers charlie…..oh yeah ..enjoy life!. Alasdair White is already well known as Battlefield Band’s virtuoso fiddle player. In these past four or five years, his musicianship and tune making have had a great influence on the bands repertoire and continuing success, and playing with Battlefield Band has given him that wider audience that his music deserves. Alasdair comes from the Island of Lewis, one of the Gaelic speaking Outer Hebrides where music and culture remain strong daily forces. It would be easy to emphasise his youth, but in fact he is as complete a musician and composer as any of us have heard, of any age. Alasdair has been an award-winning fiddler since he emerged at age thirteen. The Scotsman praised him as a “13 year-old maestro of the Highland fiddle playing surging strathspeys and reels with maturity and expertise beyond his tender years”. He recorded with Face The West, a band from the Isle of Lewis in the Outer Hebrides, was selected to represent the Western Isles at the Millennium Dome in London, and then joined Battlefield Band at 18 years of age. He has since toured the world with the band, taking in America, Australia, Malaysia, Canada, Europe, China and Uzbekistan along the way, and released his first solo album ‘An Clàr Geal’ in 2006. Andy has for some years now been one of Scotland’s busiest musicians, covering just about every musical genre imaginable (and a few that weren’t, until he got his hands on them). Having worked the circuit from classical to country, jazz to folk, easy listening to rock’n’roll, on both sides of the Atlantic, he has latterly carved out a niche as one of the most skilful, versatile and sought-after pianists on the contemporary Celtic scene. 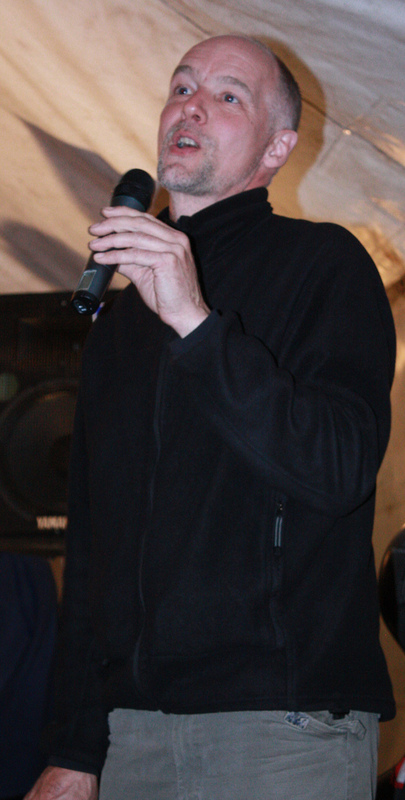 In addition to playing with bands such as Babelfish, Blazin’ Fiddles (Best Live Act, 2004 Scots Trad Music Award), The Loveboat Big Band, and The Ghillies, Andy has emerged in recent years as a composer of increasing note, whether writing traditional-style tunes, extended ensemble works, or music for theatre and dance productions. He has served as musical director on a string of high-profile projects; juggles numerous teaching commitments in schools, colleges and youth music festivals; is increasingly in demand as a creative manuscript typesetter, and advises the government on music curriculum development in schools. Allan is originally from the West Highland fishing village of Mallaig and now lives in Fort William. Primarily a fiddler, whose red-tassled fiddle bears witness to his years of study with the great Angus Grant, Allan also plays whistle, pipes and piano and was one of the first graduates from the Royal Scottish Academy of Music and Drama’s Scottish Music degree. 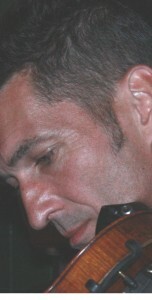 Allan is also a founder member of popular band Blazin’ Fiddles. He plays with the Fergie MacDonald Band and with Iain MacFarlane and was one of the first students to graduate from the Royal Scottish Academy of Music & Drama in Traditional Music. He also teaches, and has done a bit of writing, having recently been involved in shadow writing the autobiography of Highland music legend, Fergie MacDonald. He was born into a Gaelic-speaking home in Timmins, Ontario to John Duncan MacMaster and Sarah Agnes MacDonald MacMaster. The family was originally from Cape Breton Island in Nova Scotia, and in 1928 they returned to Cape Breton to settle in the town of Judique. At an early age, Buddy began to play the fiddle. At age 12, he had his first public performance at an amateur hour in Port Hood, Nova Scotia, and at age 14 he played his first professional gig at a square dance in the nearby town of Troy. He began a career as a station agent and telegrapher for the Canadian National Railway in 1943, though he continued to play nights at square dances across Nova Scotia.Buddy made his first radio broadcast from the town of Antigonish, Nova Scotia in 1948. In the 1970s he played regularly on Canadian television on CBC Television’s Ceilidh show. After his retirement from the railroad in 1988, he continued to work as a professional musician, gaining an international reputation. He was one of the first Cape Breton fiddlers to be asked to teach in Scotland. He was awarded an honorary doctorate from St. Francis Xavier University in Antigonish in 1995, and in 2000 he was awarded the Order of Canada for his contributions to Canadian culture. He also received the Order of Nova Scotia in 2003 for outstanding achievement benefiting the province and its residents. In October 2006, he was awarded an honorary doctorate from Cape Breton University in a special ceremony held in Judique. Chris Stout’s family come from Fair Isle, one of the Shetland Isles, and he lived there till 1984 when he was eight years of age, and it was during those years that he started to acquire his love and deep knowledge of the Shetland fiddle tradition first becoming aware of the fiddle at the age of three. His family then moved to the South Mainland of Shetland and he lived and was educated there, until his last three years at school which he spent at the music school of Douglas Academy in Glasgow. Throughout these formative years he combined playing classical music at a high standard with traditional music, playing initially at home with his father who plays accordion, and later with other young musicians who were mainly fiddle players and were given the name Fiddlers’ Bid. His ability to play both traditional and classical music led to a memorable achievement in 1990 when Chris won both Shetland’s ‘Young Fiddler of the Year’ and Shetland’s ‘Young Musician of the Year’ competitions. It is common to find Bridget just about anywhere for she spends most of her time on the move. After graduating from the University of Colorado at Denver in 2005 she feels most at home on the road. Although she resides in Boulder with her lovely mom and dearest fan, Peggy, the life of a traveling musician suits her best. Within the last year her closest friends and favorite musicians have formed a band known as Itz Evolving and Elephant Revival Concept. Although Bridget is a multi-instrumentalist, her passion lies in the fiddle and her songwriting, which she expresses freely in this group; all five members are also songwriters. At this time, the majority of their gigs are in the Colorado area, however these gypsy souls are ready, willing and stoked to tour. Bridget’s enthusiasm and passion for music has led her to many wonderful places and connected her to truly incredible people. Some of her favorite places that she has recently visited are: Europe, the Pacific Northwest, Hawaii, Austin TX, Burlington VT, and Scotland where she will be visiting again this summer to teach at a small fiddle camp in the Hebrides Islands. She holds the presence of an accomplished musician with polite confidence and humble observation; this demeanor has led her to opportunities to play with some amazing and famous groups/musicians. Some of those include Michael Franti & Spearhead, George Clinton & P-Funk, The Mutaytor, Tim O’Brien, Vince Herman & Great American Taxi, members of Yonder Mountain String Band, Queen City Jazz Band, Honky Tonk Homeslice, Hot Buttered Rum, Polytoxic, Outformation, Randy Crouch, The Wayward Sons, Oakhurst, Piers Faccinni, Hazel Miller, Rebecca Folsom and many more. She is well known in the Colorado music scene especially on the grassroots level. She is a natural born net worker, always meeting people and connecting things for the love of the music and the scene that makes it possible to share. Bridget is a Colorado native, born and raised in Denver and Boulder. She began playing fiddle at age 9 inspired by her mentor Chris Daring. 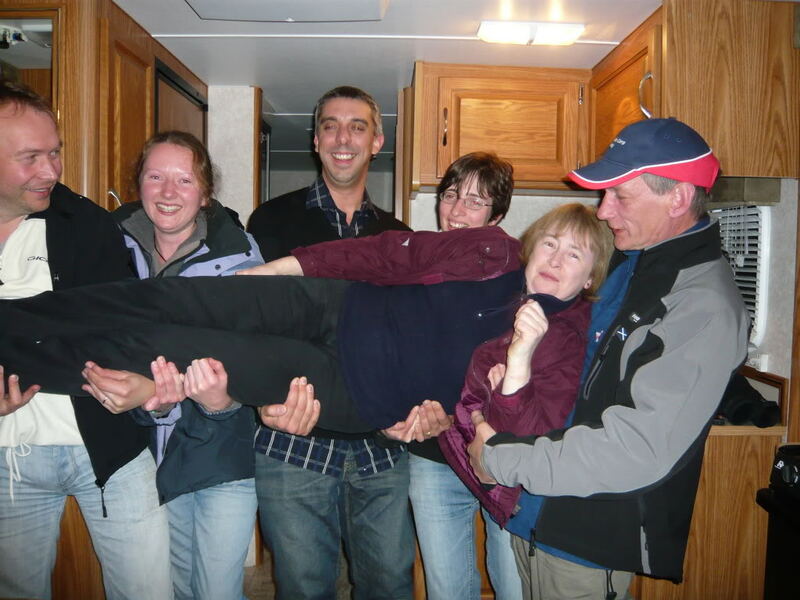 It was with Chris and her family that Bridget first began traveling and competing in fiddling contests. 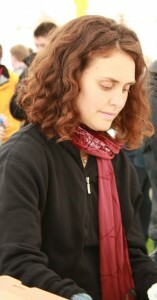 These healthy competitions set the groundwork for Bridget’s fiddle style by encouraging her to be technically proficient as well as soulful and unique. Bridget continues to attend these contests in states including but not limited to, Texas, Colorado, Idaho, Missouri, and California. Bridget has many other notable musical accomplishments. She was the Colorado State Fiddle Champion in 1995 and 2000; and in 2003 and 2005 she was named the Wet Mountain Western Days Champion. She also ranked in the top twenty in both the National Old-time Fiddler Contest, and the Texas State Fiddle Championships. She has been awarded multiple scholarships by the Denver Jazz Foundation including the Ron Cope Band Leader Scholarship. She has traveled and played all over Colorado and the United States. Her International travels have included a college trip to perform for nearly four hundred people at the Moscow Conservatory in Russia, as well as a month long tour of Europe with a Denver Bluegrass band called Oakhurst (www.porchmusic.com). With a bright future ahead of her, Bridget plans to continue her enthusiasm by always doing what she loves—Making Music. Anna Massie was the winner of the BBC Radio Scotland Young Traditional Musician of the Year 2003 Award. 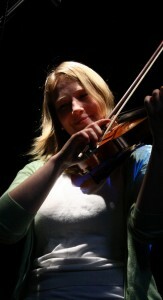 A talented multi-instrumentalist, she excels in playing the fiddle, mandolin and tenor banjo. Though perhaps most impressive is her guitar playing – equally at home either accompanying in her unique rhythmic style or flatpicking tunes, Massie’s dexterity shines through. Isle of Lewis. Sandra is the founder member and lead singer of the band ‘Tannas’. She has performed at many festivals throughout Europe and appears frequently in Gaelic music programmes. Sandra also sang with the former band ‘Sgathach’. Tannas originally met in Edinburgh, and their record company is based near Glasgow. The two vocalists, Sandra and Doreen Mackay, are both from the Isle of Lewis, where there is a strong tradition of singing(and speaking!) in Scottish Gaelic. 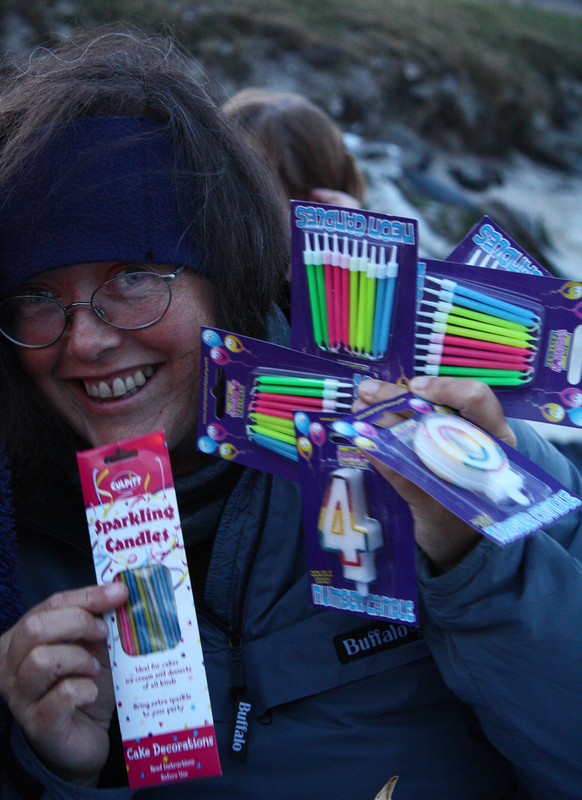 Sandra is the founder member of the band. Pete Cooper plays, teaches, composes, records and writes about fiddle music. He is best known for his tutorial book/CD The Complete Irish Fiddle Player (1995), published in the USA by Mel Bay, and his more recent collections issued by Schott: Irish Fiddle Solos (2004), English Fiddle Tunes (2006) and Eastern European Fiddle Tunes (2007). After years of performing, travelling and playing in too many late-night sessions, he brings a relaxed, good-humoured approach to his workshops and concerts alike. He also sings, backing himself on fiddle, and plays the mandolin. His unusual fluency in different styles – English, Irish, Scottish, Old Time, Swedish, Eastern European – has been described as ‘chameleon-like’. He travels all over the country to teach and perform, and has also made recent trips to China (2004), India (2007) and Japan (2008). A firm believer in lifelong learning, Pete has run regular fiddle courses in London since the mid-1980s, bringing his group classes under one roof in 2001 as the ‘London Fiddle School’. Sarah Naylor is one of Scotland’s leading young traditional musicians with a fiddle style that is both technically accomplished and emotionally communicative. The assured playing that has impressed judges at competitions including The Young Scottish Traditional Musician of the Year 2005 and The Oban Fiddle Masters 2004, which Sarah won, belies the reluctant first steps that she made as a nine year old on her first instrument, the home-made fiddle which Sarah’s mother created out of a man-size Kleenex tissue box. 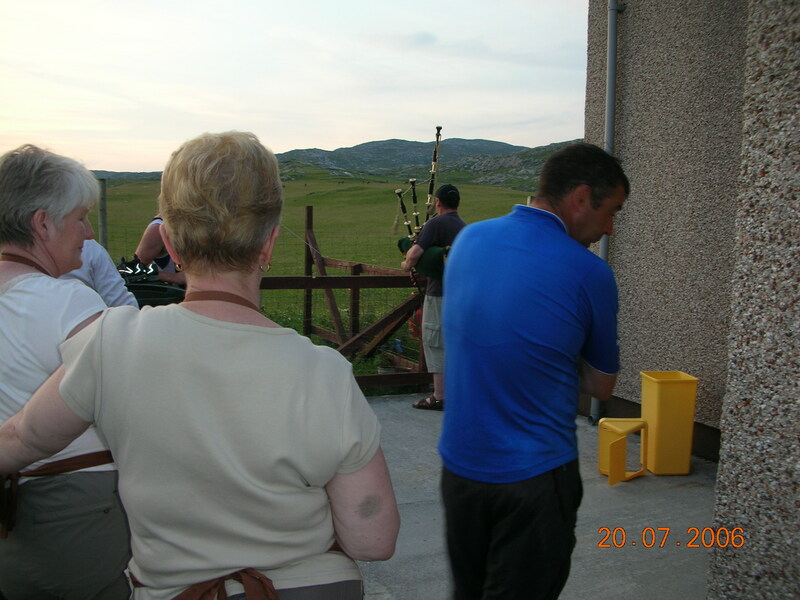 respected Highland fiddler and tunesmith Donald Riddel, was keen for Sarah to carry on the family tradition. 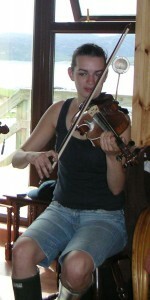 Attending summer courses in her teens at Sabhal Mor Ostaig, the Gaelic college on Skye, brought Sarah into direct contact with world famous musicians, including Buddy MacMaster, Bruce MacGregor and Alasdair Fraser, who introduced her to material and techniques that have greatly influenced the energetic and fun side of her playing. She was runner-up in the Glenfiddich Fiddle Championship 2004 and she enjoys passing on old Scots tunes and fiddling tips to school pupils through her education work for Celtic Connections in Glasgow, the Hebridean Celtic Music Festival on Lewis, and the Feisean movement throughout the Scottish Highlands and Islands. In March 2004, as part of her BA Applied Arts course at Strathclyde University, Sarah travelled to the United States, where she taught traditional music to young children and small communities and played concerts in New York and Pennsylvania. She returned to the US in December 2004 to play more concerts in Chicago and will perform main stage this September at Chicago’s Celtic Festival. As well as reaching the final of the Scottish Young Traditional Musician of the Year 2005, Sarah has won a Celtic Connections Danny award. Sarah graduated with First Class Honours form Strathclyde University, Glasgow, with a BA in Applied Music. She was awarded the Alexander Stone prize for excellence in Solo Performance and she hopes to continue developing as a soloist and in her duo with Douglas Millar. Alison MacLeod from Inverness is a member of the Scottish Stepdance Company, and has studied at Ceolas music school and Cape Breton. She is well known for her traditional dance style, and teaches with Step 2000, Glasgow Fiddle Workshop and the Scots Music Group. Born in Liverpool Ewan completed a ND in music at Wrexham and was one of the first ever intake of students studying for MA at Paul McCartney’s LIPA. He has worked with many different artists including: John Spiers (Spiers & Bowden), Burach, Cantrip, Croft no 5, Alasdair White (Battlefield Band) and Ben Farmer (Chouchenn) Ewan currently plays with amongst others Fine Friday, Fribo with vocalist Anne Sofie Linge Valdal (Jim Sutherlands Cold Weather Dancing) and fiddler Sarah-Jane Fifield. He has just completed an album with contemporary Scottish band the unit, (with Amy Geddes and Paul Jennings) which has received play on radio Scotland. An active member of the Edinburgh session scene Ewan is becoming recognized as one of Scotland’s most versatile multi-instrumentalists.